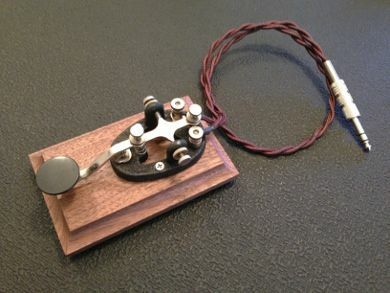 Below you’ll find photos and histories of some of the telegraph keys in my small collection. These include everything from the popular J-38 which was contracted for production by the U.S. Army Signal Corps during WWII, to the rare El-Key, which was recently restored. I hope you'll find it interesting. 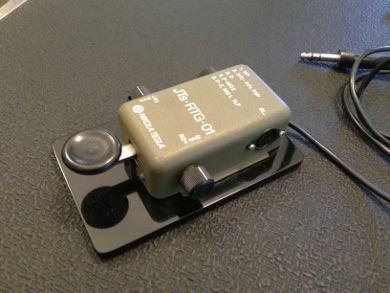 The U.S. Signal Corps’ J-38 was a morse code training key produced in large numbers during the 1940's. 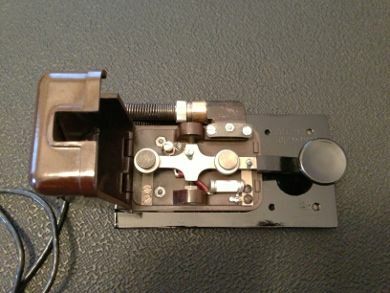 They were produced by several manufacturers, including Lionel, Signal Electric Manufacturing Company, McElroy, American Radio Hardware, Telegraph Apparatus Company, and others. This particular version was manufactured by Lionel Corporation, of New York, NY. 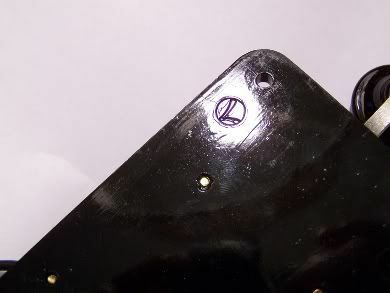 The easiest way to determine whether or not it’s a Lionel is to look on the underside, where you’ll see the “L” logo stamped on the bakelite base. 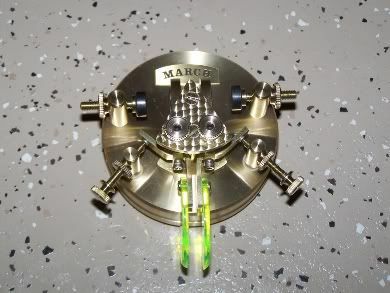 Older variations have the company name stamped between the trunions on the top of the base. Also, Lionel J-38's have an obvious “L” design to the metallic part of the key as well. The key mechanism by itself, (without the base), is specified as a J-30 by the U.S. Army. 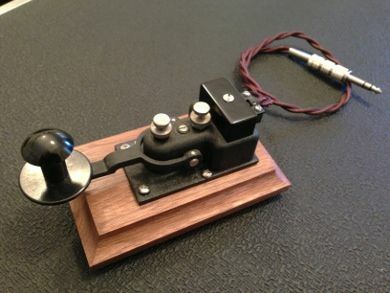 There are several other keys manufactured for use by the Signal Corps, including the J-5A, which was used around the time of World War I. 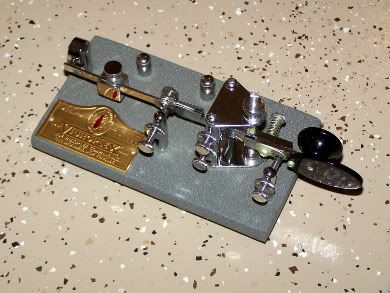 Many of the surviving keys are World War II vintage, and originally came into the hands of amateur radio operators when they became surplus in the 1950's. The J-47 is an example of this, and like the J-38, they were manufactured by many different companies, causing several variations in style. Manufactured for the Navy, the flame proof key has covered contacts for use in environments that may have had flammable gasses present. 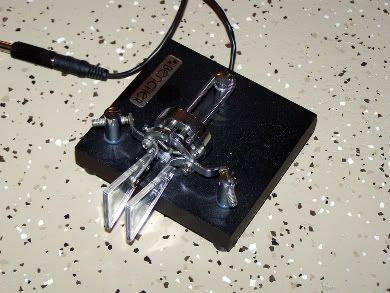 Please click here to learn more about the Navy Flame Proof key. The TK is a Soviet army surplus key with a plastic dust proof cover that snaps over the top. It also features silver contacts, and a rugged plastic base. Simple and adjustable, it’s a pleasant key to use. 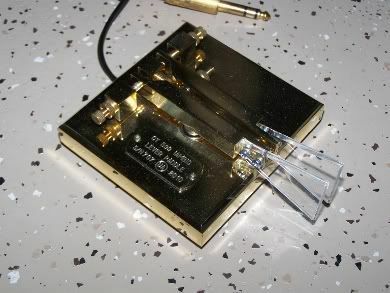 The key was manufactured by the Ukranian Telegraphy Equipment Plant ZTA, in Cherkassy. Some of its features are no doubt borrowed from the German Junker DRP design. The Kent Hand Key is manufactured by R. A. Kent Engineering of England. It is constructed from solid brass, has a machined wood base, silver contacts, and sealed instrument ball bearings which reduces side play. 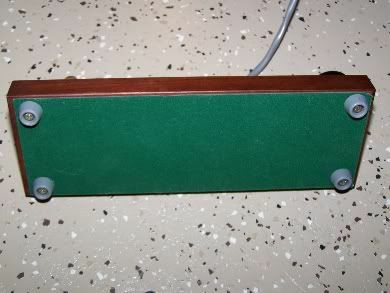 The underside is trimmed with green baize. The key has a weighted base and non-slip feet for added stability. 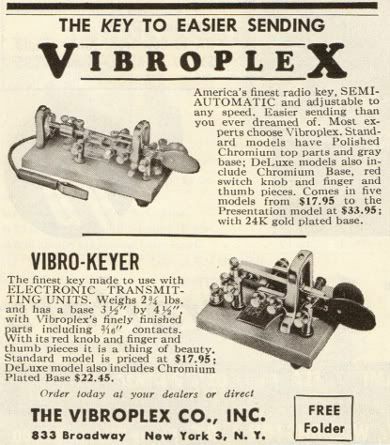 Vibroplex has been manufacturing telegraph keys since 1890. Although they also make straight keys and paddles, the name itself is automatically associated with one design in particular - the “Bug.” The bug is a semi-automatic key which uses mechanical vibration to rapidly create the “dits,” thus allowing for faster sending speeds. 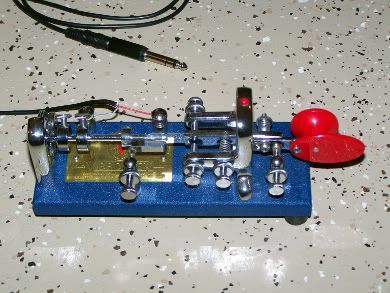 Vibroplex "Blue Racer - 2000"
A popular choice in the 1960's, the Champion’s mechanical components are similar to the Army Signal Corps J-36 design, which was manufactured by several companies during WWII. The components, however, are of a nicer quality and its base is finished in a grey crinkle paint. One of the defining characteristics of this variation is the triangular shaped plates and individual posts that make up the yoke assembly. Click here for more info. Based on the original “Blue Racer,” which was patented in 1914, the “Blue Racer 2000" uses the same frame and chrome finished parts as the “Original Bug.” Its mounted on either a blue or chrome (deluxe) base, that measures 6 ½" by 2 ½", which is slightly narrower than the “Original.” Click here for more info. 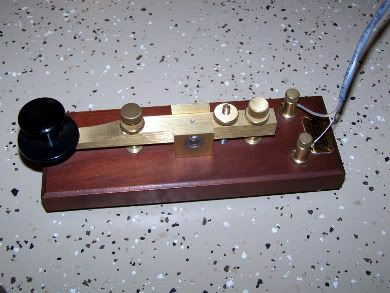 The El-Key is an important paddle in the history of amateur radio. 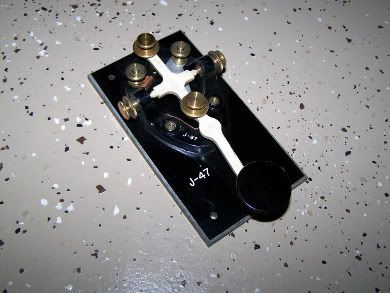 This single-lever design was the first commercially manufactured paddle offered to ham radio operators. They were made by R.E. “Bob” Poucel (W2AYJ) and Sid Shore (K2FC) doing business as "Poucel Electronics Company," a division of Shore Mfg. Co., of Long Island NY. 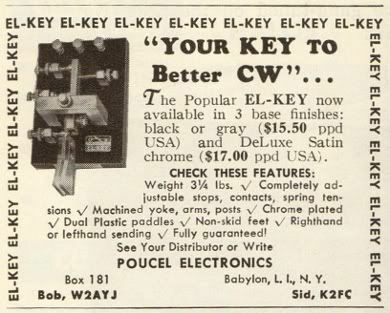 The name El-Key is short for “Electronic Keyer.” About 400 were made between 1959 and 1963, and they were available with either a black, light gray, or chrome base. Click here to see photos of the restoration of this key. 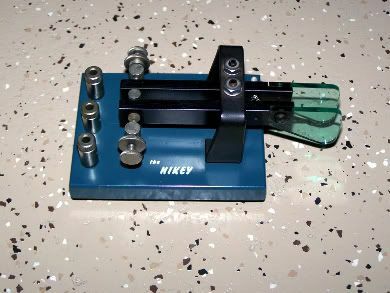 The Nikey, manufactured by the “Productive Tool and Manufacturing Company of Stamford, CT”, was the first “truly automatic” iambic paddle, according to the ad, and is noted as being the first iambic paddle to advertise in QST magazine. It features stainless and black anodized parts, green lucite paddles, and a painted steel base. The “FYO” paddle was invented by Joseph A. Hills (W8FYO) of Dayton, Ohio and manufactured by Hal Communications Corporation of Urbana, IL. 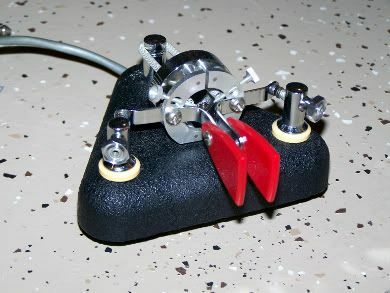 It was sold for short time between 1975 and 1976 and its unique three-pivot split ring and spring design was the inspiration for the modern day Bencher. This one is the “iambic” version. There was also a “non-iambic” model made by Joseph Hills and sold for a short time in the early 1960's. To view Hill's original patent for this design, click here. Hamco's Scotia was the first commercial paddle to incorporate magnetic tensioning. 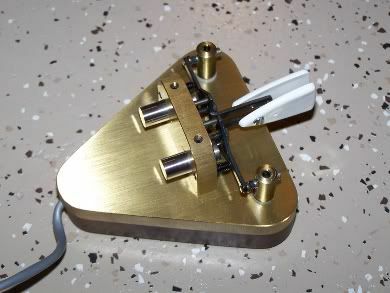 It has a thick triangular brass plate mounted on a hardwood base. Some nice features are that the wiring is completely hidden, and a lever retaining screw helps to make sure they won't fly apart like the levers on Bencher or FYO paddles tend to do. In 1982, the Scotia design was bought by the Vibroplex company, and later marketed as the "Brass Racer." 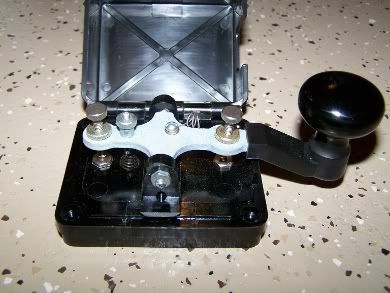 Manufactured by Bencher, Inc., of Antioch, Illinois, the BY-1 is a two-lever iambic paddle similar in design to the “FYO,” but with a lighter weight steel base. 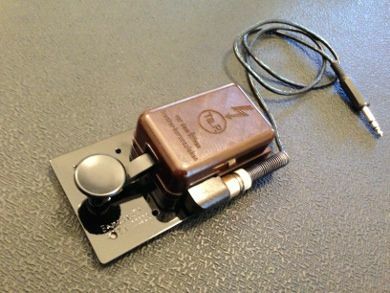 With over 100,000 sold, the BY series is the most popular iambic paddle ever produced. There are several different finishes available, but they are all mechanically the same. This one has a black painted base with chrome parts. For more info, click here. 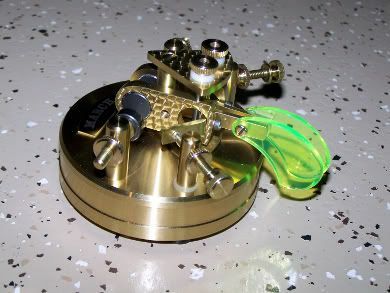 Designed by Yury Shevchenko, (UR5CDX), the CT 599 MB is a two lever iambic paddle which features a highly polished brass base and components, ball bearing movement, and solid double silver contacts. This paddle is unique in that its overall height is only about an inch and a quarter off the table top. Manufactured in Cherkassy, Ukraine, Yury produces two other variations of the 599 series, as well as other paddle designs. 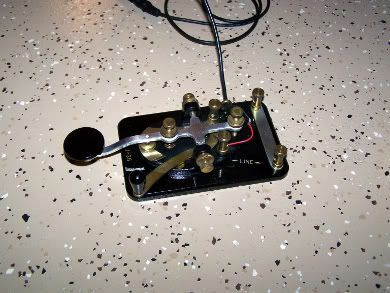 Designed and built by Michael March (K4QU), of Winchester, Virginia, this beautiful paddle uses magnetic repulsion instead of springs to create lever tension. The base and components are machined entirely out of brass. The R-3A is manufactured by hand with custom details and is only available by special order. This one features jeweled upper parts and green acrylic finger pieces. The Baumster T1, (also known as the Siemens Key) was built by several manufacturers during the second World War. 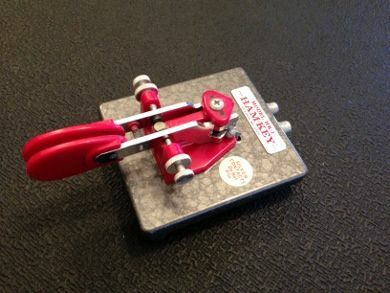 It has a stamped-steel base marked with "Baumster T1 Anf. Z: Ln 26902," where "Baumster T1" means Type T1, "Anf. Z: Ln" stands for the Luftnachrichtentruppen (the Airforce Signal Troops), and "26902" is the model designation. 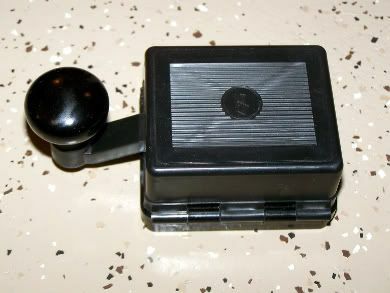 It has a hinged bakelite cover, which is usually brown in color. On the lid is a lightning bolt and the words "Vor dem Offen Stecker Herausziehen," which means "unplug before opening." Inside is a stamp that says "BAL" which is short for "Bau Amt Luftwaffe." This means that it was approved for use by the German Air Force. Speed-X keys were first made by the E.F. Johnson Company and also, for a short time, by the Les Logan Company of San Franciso, and currently the Wm. Nye Company. 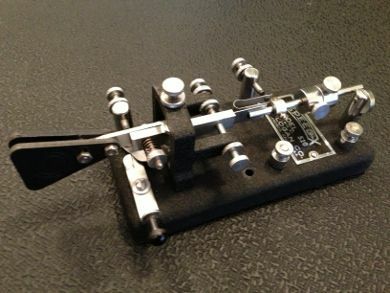 The straight keys have always been known for their affordability and ruggedness, and many cw operators say they have the best feel of any straight key on the market. A number of different variations, as well as platings on the moving parts means there's several varieties available. 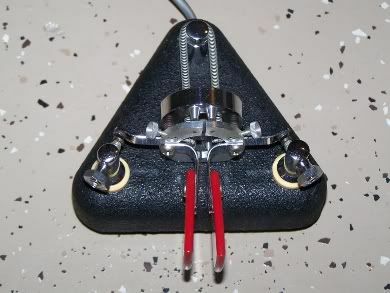 The straight key pictured below is an example of an "Oval" Speed-X, mounted on a wooden base. 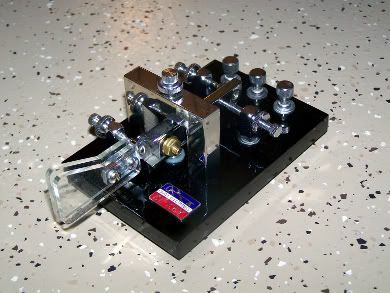 Its a very simple and well built key with a cast iron chassis and nickel plated moving parts. Other variations of these include gold plate (including chassis), and one with chrome plating. A rectangular version (not shown), is also popular. The bug (pictured on the right), is a Les Logan Speed-X Model 510, built in the 1940's. It is a relatively small bug, with chrome plated moving parts and a black, wrinkle finished base. 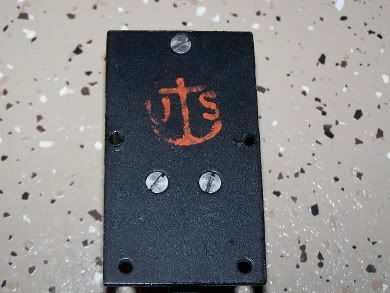 The JTs RTG-01 in an interesting straight key with a bakelite base, metal cover, and electronic adjustments. 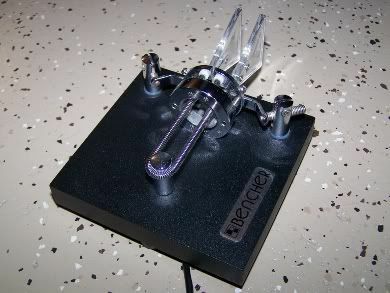 The mechanical parts are nickel plated and the hardware is stainless steel. 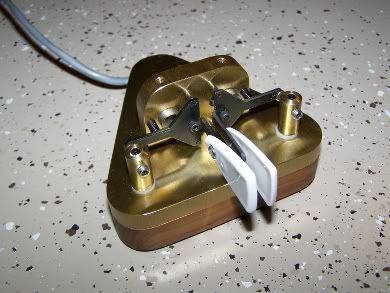 On the right side is a 5 pin din style connector. So far, I've found very little information about the JTs RTG-01, other than the fact that it was used by the Yugoslav Military in the mid twentieth century. Whether this means it was designed and manufactured there, I'm not sure. If anyone has any further information about this, I'd be interested in learning more. Please contact me here. 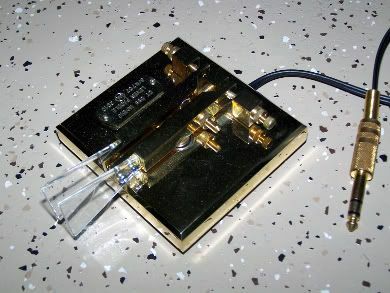 Sold as a cheaper alternative to the more expensive Brown Brothers keys, the Ham Key, manufactured by the Ham Radio Center of St. Louis, MO, in the 1970's, is still a favrite among CW operators. Purists may scoff at its simple construction, and plastic parts, but Ham Keys in NOS or excellent condition are highly sought after by collectors. They do not incorporate jeweled bearings or exotic metals, and the finish on the moving parts is something less than chrome, but they are easily adjusted and maintain that adjustment while sending. The one pictured to the right has the typical painted marble finish on the base and red plastic chassis.